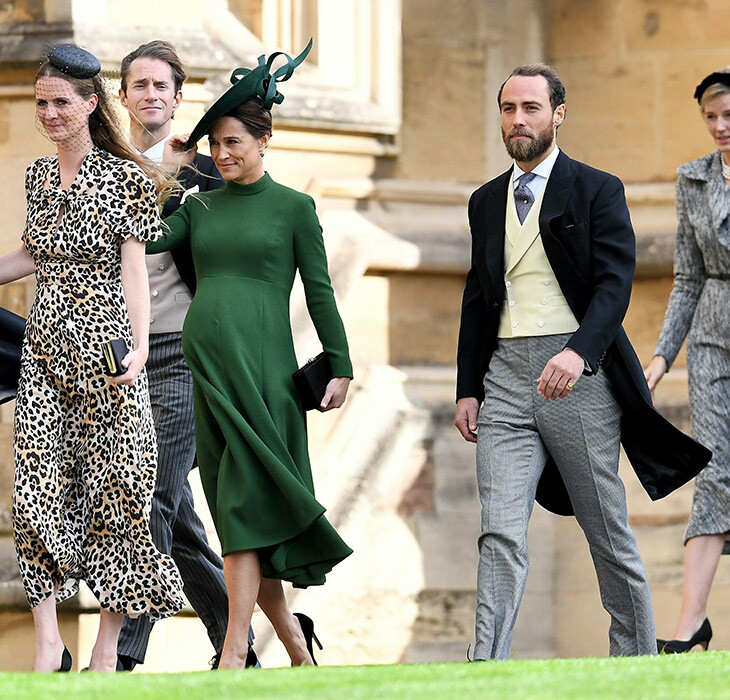 Attending her second royal wedding of the year, socialite and sister of the Duchess of Cambridge, Pippa Middleton arrived for Princess Eugenie's wedding held at Windsor Castle. Pippa, who is heavily pregnant with her first child, showed off her burgeoning baby bump clad in a figure-hugging Emilia Wickstead dress. 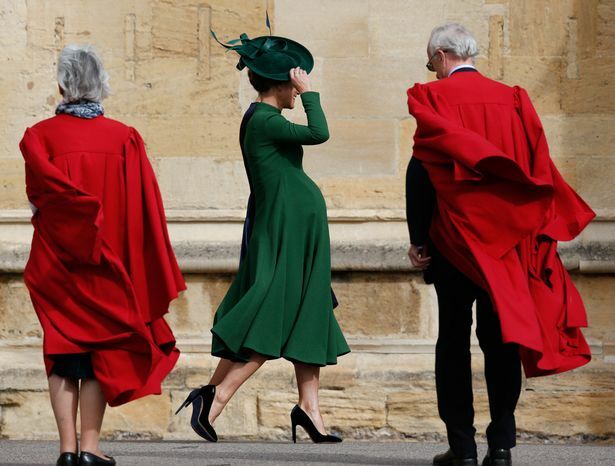 Pippa, 35, who is set to give birth in just a few weeks, dazzled in the forest green dress styled with a matching hat and let her baby bump took center stage. Arriving for the wedding with her husband James Matthews and brother James Middleton, Pippa was a glowing sight, and topped off her maternity look with coordinating black heels and a black box clutch. For Prince Harry and Meghan Markle's wedding in May, Pippa Middleton had worn a floral printed silk dress by The Fold.